From the 1870s through 1941, Roton Point Park was one of the preeminent attractions along the shores of Long Island Sound. 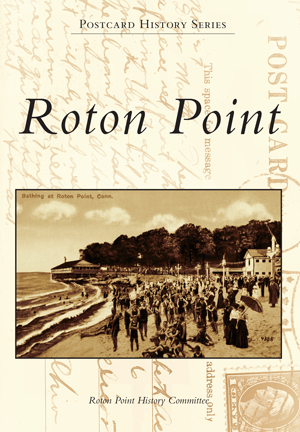 From its shady picnic grove overlooking the water to its sandy beaches, hotel, dance floor, carousel, roller coaster, and midway rides, Roton Point attracted thousands of visitors each season. Damage from the 1938 hurricane and the start of World War II led to the park's closing in 1941, and Roton Point was divided into two private beach clubs and a public beach. Some of the old buildings remain, including the bathhouse, hotel, and gazebo at Roton Point, and the roller-coaster entry at Bayley Beach. The Roton Point History Committee is a dedicated group of members of the Roton Point Club and is charged with bridging the past and the present by collecting, preserving, and sharing artifacts and memories of Roton Point.